The current United States tax system is traced to President Teddy Roosevelt. He was the first President that publicly supported a federal tax system; leading to the 16th amendment. 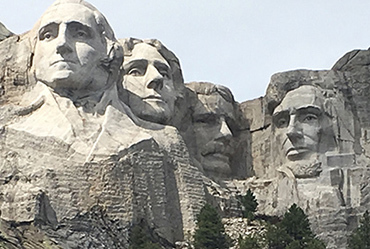 The other Presidents immortalized at Mt. Rushmore governed our country without a broad-based federal tax system. While politicians will continue to use the tax code to achieve the social objective of the day, we should all recognize that (a) we will never be transported back to the time of no federal income tax and (b) despite its flaws, our tax system has funded tremendous public good. With this mindset, the Bottom Line for our clients is to minimize taxes and maximize their after-tax profit. We work with all types of taxpayers – individuals, corporations, s-corporations, partnerships, LLCs, trusts, estates and not-for-profits – and on all types of taxes - income, payroll, property, sales, use, estate and gift. We have first-hand experience in conducting business in all 50 states and in dozens of countries around the world. Whether you desire a multi-state tax analysis or proper structuring of international operations and repatriation of capital, our experience will help your Bottom Line. Planning, compliance and advocacy are the three components of our tax solution. Tax solutions start with planning. Our firm draws from its wealth of experience to provide you with the best planning ideas, techniques and practices. Tax planning starts when the business starts and evolves as the business and the needs of its owners evolve. We help determine the best legal and tax structure, make appropriate elections on how, when and where your income will be taxed, identify how tax law changes will impact your business and, when the time is right, analyze how to exit from your business. As each tax year progresses, we update your estimates as needed, advise you about tax saving opportunities and guide you around potential pitfalls. Reliable, consistent and timely tax preparation is something all taxpayers need. Since nobody likes getting mail from the IRS, we put all tax returns, even simple 1040's, through a rigorous multi-step process that results in every return being checked for reasonableness, verified against source data, compared to prior year data and reviewed for accuracy. The result is an accurate return that has been scrutinized for tax savings and less mail from the IRS. Once you file a return, we are poised to defend you against challenges from the IRS, state or local tax authorities. 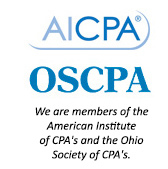 Every tax professional on our team has had the pleasure of representing clients during tax audits or inquiries. Our experience includes personal appearances at administrative appeals in Washington DC and state capitals, obtaining offers in compromise, negotiating payment plans and responding to “routine” tax notices.